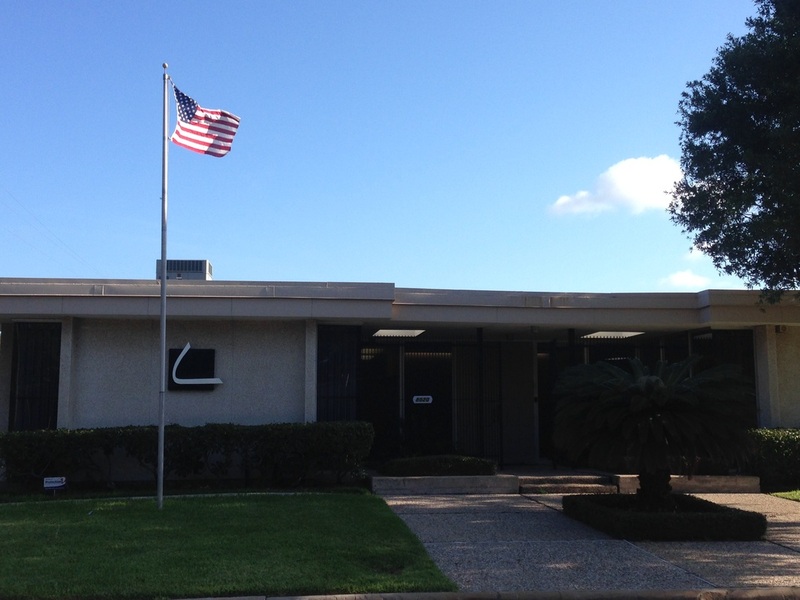 The LAI offices are conveniently located in Southwest Houston, and offer our clients the benefits of an extensive finish library and fine art gallery. Our gallery setting not only makes our working environment pleasant, but since we enable local artists to show their works on our walls, our clients can choose from a wide variety of constantly changing art to help accessorize and decorate their facilities. Working together in an open environment enables senior managers and production staff to interact seamlessly. At LAI, we make use of the latest technologies and materials in our workflow, our design choices and our expedited process management. We encourage team building and senior manager training of our younger production and design staff. 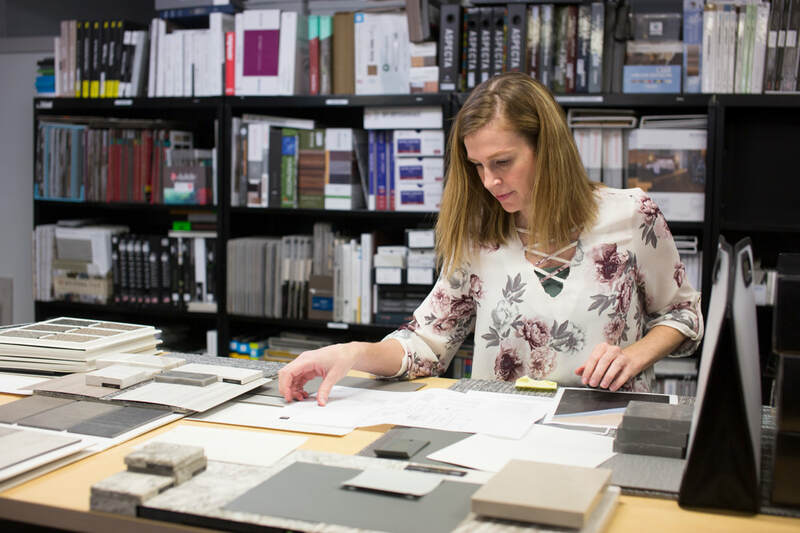 April selecting finishes in our finish library, the perfect place for our clients to bring their visions to life. 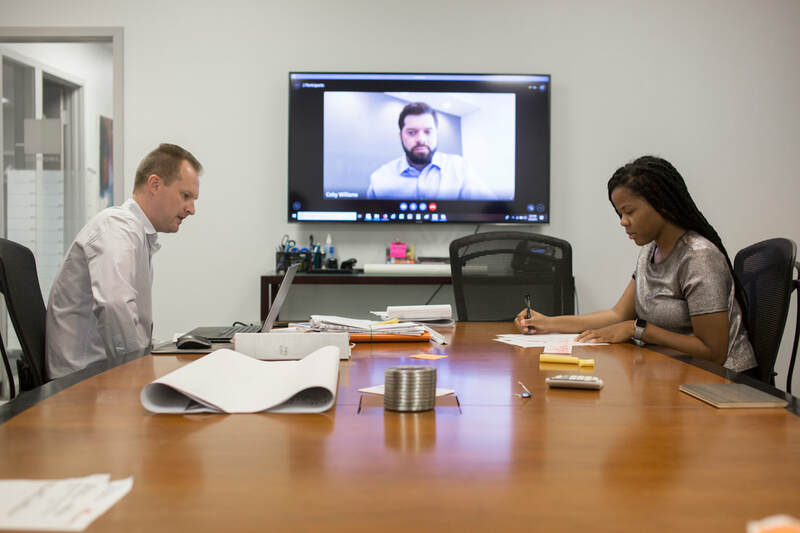 Employees meeting to discuss a project in the Lamoureux Associates conference room.